No, it’s not Motel 6, I’m talking about the refrigerator. 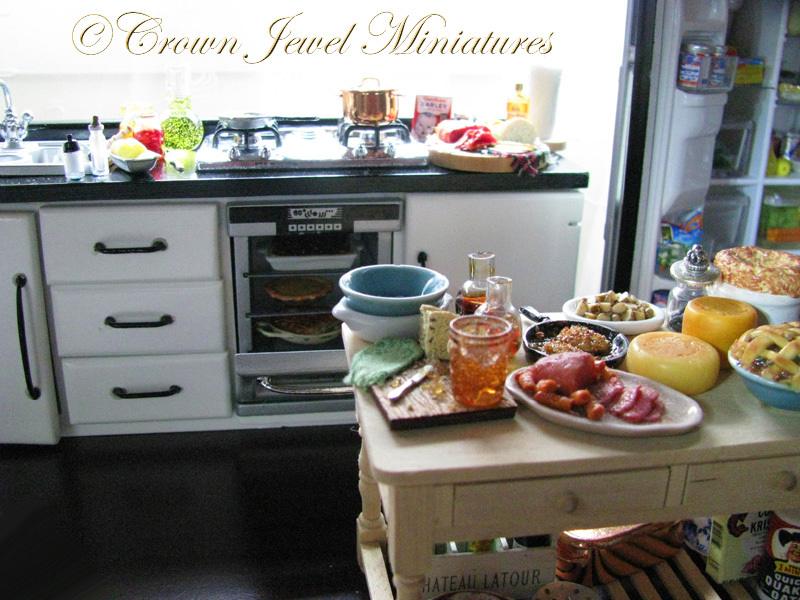 LOL My collectors know I’d rather make Edwardian & Victorian foods and I’m not a fan of modern but I couldn’t resist the French door refrigerator I found on eBay last year! I haven’t wired it yet but I will when I have time. 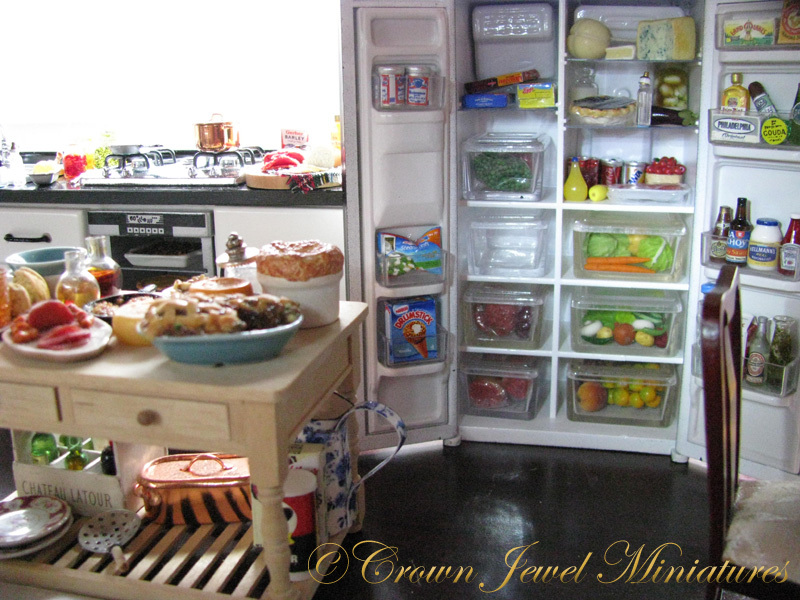 What’s a refrigerator without a tiny light inside? For now it’s in a roombox with a combination sink & stove unit I picked up from ELF Miniatures and a work table crammed with odds & ends. I had a lot of fun making fresh vegetables, cheeses and meats to fill the inside and as you can see I added condiments, milk, wine, and frozen food boxes and pouches for a little more realism. The light coming in from the window behind the sink adds to the charm of the room. It’s a large bay window with mullions- great for displaying plants and fresh herbs growing in tiny pots (that’s also on my to-do list LOL). 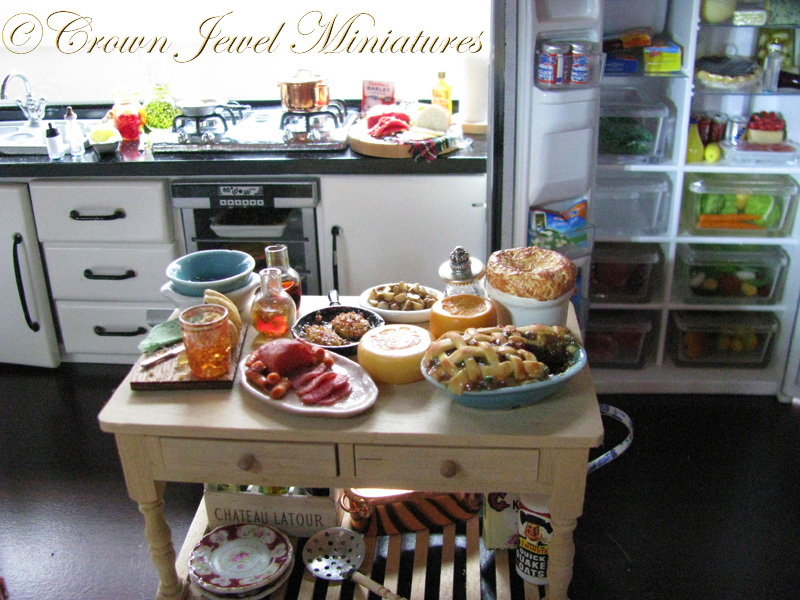 Thanks for taking a peek, it’s just a little refrigerator but it provided me with a lot of mini inspiration! 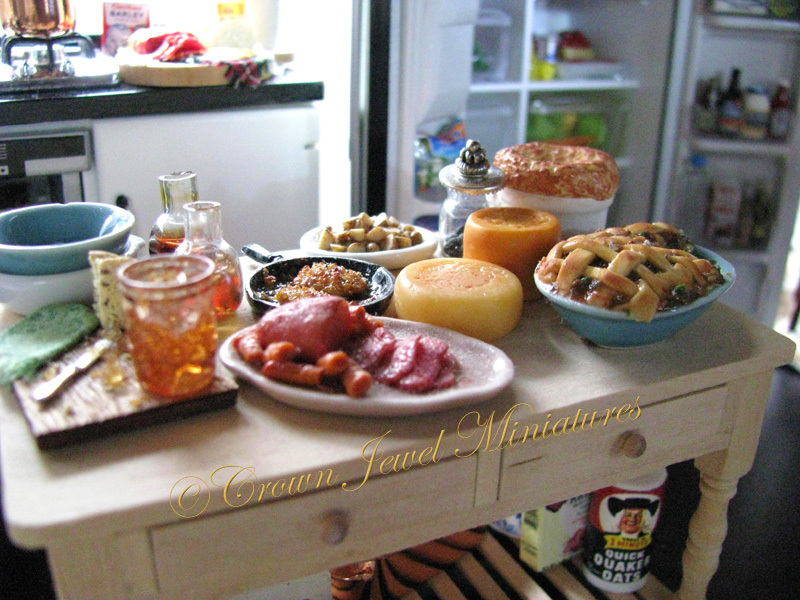 All it takes is one mini- a pan, a mixer or in this case a refrigerator- and a whole line of food and drink usually follows from there. 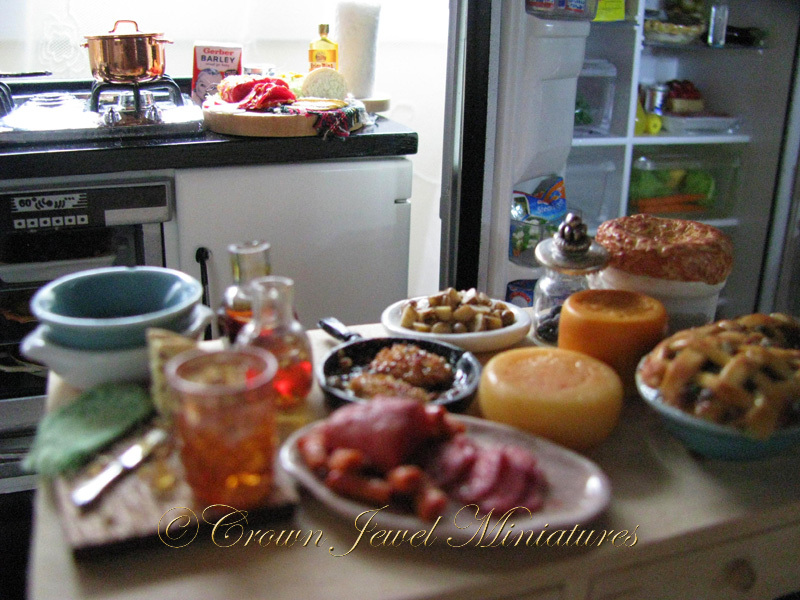 This entry was posted in Crown Jewel Imaginarium, New Miniature Art!. Bookmark the permalink.